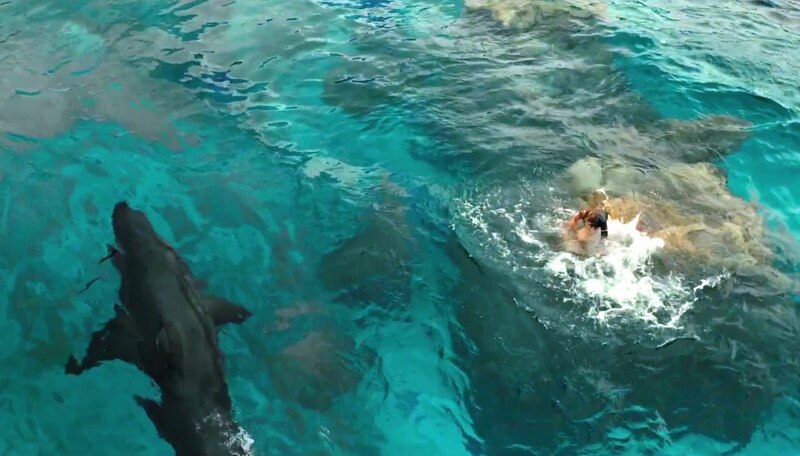 Taking a break from getting Liam Nesson to snarl at things, Non-Stop and Run All Night director Jaume Collet-Serra turns his attention to making Blake Lively’s life hell with The Shallows. Described as “Jaws for a new generation”, Lively is a tourist surfing alone in a secluded beach, when a great white shark attack strands her only two hundred yards from the shore. It may only be a short distance from the shore, but getting there proves to a mammoth task. This latest trailer certainly lives up to the movie’s lofty claim, and while it is similar to 2003’s Open Water, there is a lot of promise here. The maximum amount of tension is squeezed from the premise here (with some great cutting early on making for a genuine jump scare), and Lively does well playing off the hopelessness of her situation. Will it unseat Spielberg’s classic as king of the shark movies? Probably not, but you better believe it will put up one hell of a fight.